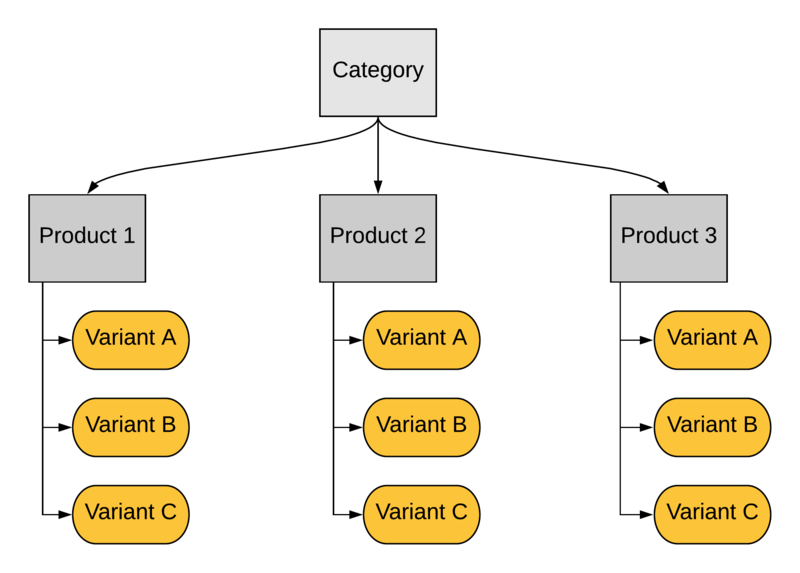 Shopventory offers three "layers" of differentiation: Category, Product, and Variant. Category is the first layer. Then you select the Products under that Category. Finally, you select the Variants under that product. There are any number of configurations, even for more complex inventories. Variant Name: Size 9 - Black ... etc. How you set up your Variants depends on what makes the most sense for your business, but the tools are all there! Each Variant will have its own price, cost and quantity.